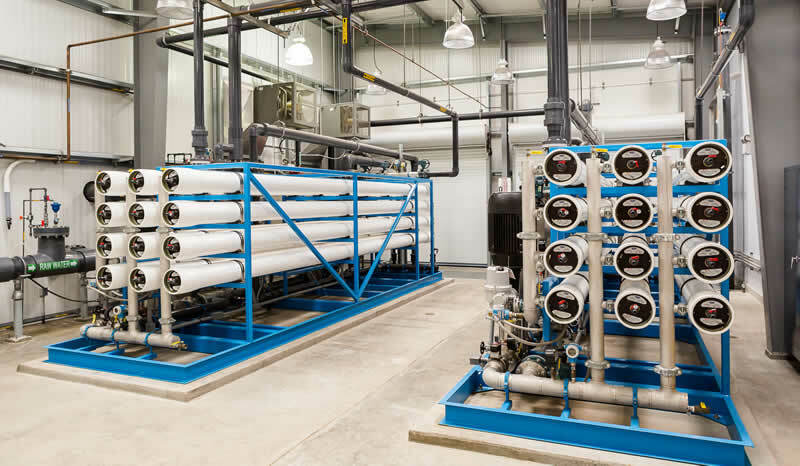 Camrosa Water District serves three classes of water through separate distribution systems: drinking (potable) water, non-potable irrigation water, and recycled water. The district’s guiding principle is “Building Self-Reliance“, which means increasing our ability to meet customer demand through local resources while reducing our dependence on imported water. These separate classes of water help meet the varied needs of our customers from both quality and price perspectives, providing a reliable supply that draws from a variety of local and imported sources. They also support maximizing the water that we do need to import, ensuring that every drop is used—and re-used—in the most efficient manner. Camrosa’s drinking (potable) water is a combination of imported State Water Project water and local groundwater. Imported water originates in northern California, is transported south via the California Aqueduct, and is delivered to Camrosa by Calleguas Municipal Water District (a member agency of the Metropolitan Water District of Southern California). Local groundwater is drawn from four groundwater basins (Tierra Rejada, Santa Rosa, Pleasant Valley, and the Perched Aquifer) via 11 groundwater wells. Seven contribute to the potable system, while the others contribute to the non-potable system described below. An eighth potable well, the Penny Well, is being rehabilitated after 20 years of idleness, and a ninth, PV Well #2, is being built in Woodcreek Park in Mission Oaks. These two new wells should be operational in 2018. Ten reservoirs on the drinking water system store about 16.25 million gallons of water. 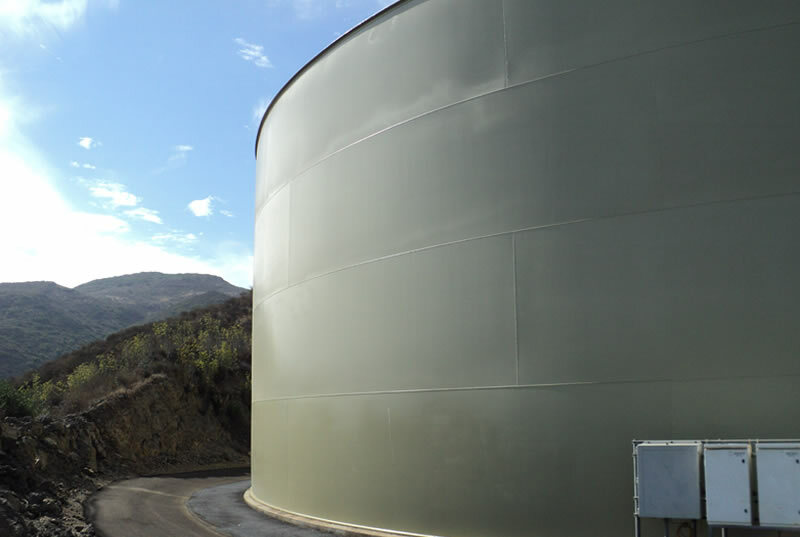 Reservoirs are refilled during periods of low demand (generally midday and midnight), and help meet periods of high demand, create consistent pressure, and provide a measure of reliability during electrical or water-supply outages. They are our “safety net” in case there is a disruption in water supplies, ensuring that our customers receive continuous deliveries. You can see them dotting the hills in the Santa Rosa and Tierra Rejada Valleys. Those hills create the need for four pressure zones to keep water pressure in the right range for our pipes—and yours. 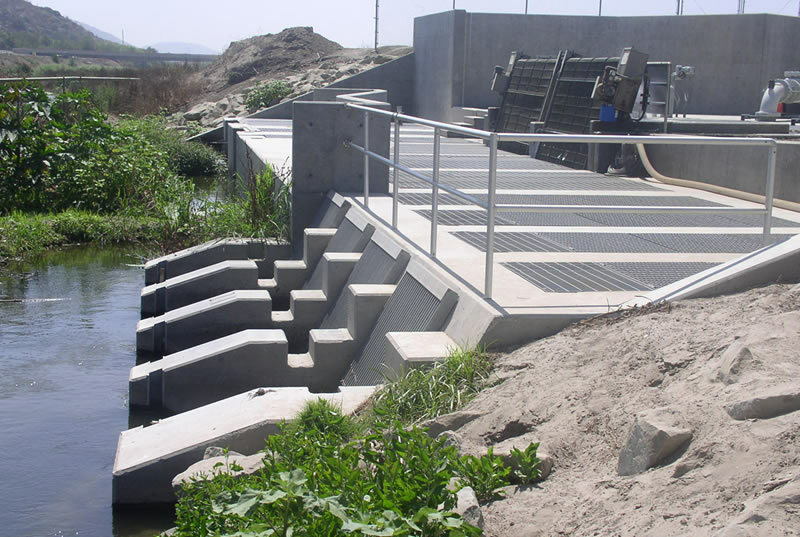 Pump stations move water from lower elevations into higher zones, and pressure reducing stations help slow water that flows downhill from the higher zones. The majority of our groundwater wells are in the lower two zones, and in order to take full advantage of the increasing groundwater production capacity, we’re building two new pump stations to move local water around the district. Non-potable water delivery is a vital part of Camrosa’s service mission, as it provides landscape and agricultural irrigation for many customers in our district. 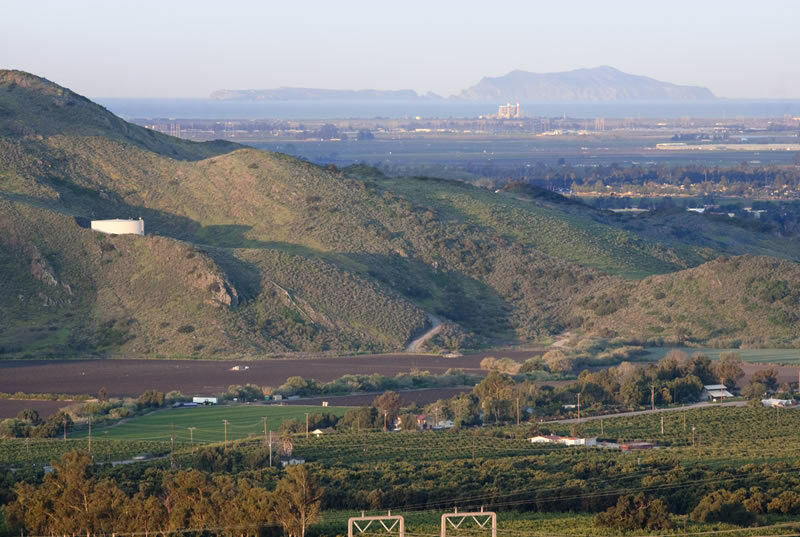 The main source of non-potable water is the Conejo Creek, which runs south fromHill Canyon through the middle of our long and narrow service area, behind Leisure Village, and through agricultural fields before its confluence with the Calleguas Creek and the final run to the Pacific Ocean. The Conejo Creek contains high-quality recycled water discharged by the Hill Canyon Treatment Plant in Thousand Oaks. This water, once released into the creek, merges with the north and south forks of the Arroyo Conejo, the Arroyo Santa Rosa, and other small tributaries from the hills of Santa Rosa Valley. Seven miles downstream, Camrosa diverts the creek through the Conejo Creek Diversion Structure, located on the west bank a stone’s throw south of the 101 freeway. This structure, built in the early 2000s, moves six cubic feet of water per second for downstream use, and sends the rest to Camrosa’s storage ponds, located near Cal State Channel Islands. From that facility, non-potable surface water is sent to customers in the district via the non-potable distribution system, a discrete network of approximately 31 miles of pipeline. This system provides irrigation water to agricultural users and outdoor irrigation water for Leisure Village and about 350 homes. In the hottest months of the year, Camrosa uses every drop we can squeeze out of the creek and our ponds, but at other times, our non-potable supply exceeds demand. Whenever we have surplus non-potable water, we sell it to the neighboring Pleasant Valley County Water District (PVCWD), a purely agricultural water district just to our west. For each acre foot of non-potable surface water Camrosa sends to PVCWD, we receive one acre foot of pumping allocation in the Pleasant Valley Basin, essentially transforming non-potable water we cannot use into a source of drinking water far less expensive than imported water. This is another way we’re maximizing local resources to reduce our dependence on costly imported water. Camrosa supplements Conejo Creek water in the non-potable distribution system with groundwater—four of our wells in the Santa Rosa Basin receive no treatment after pumping and contribute to the non-potable system. Recycled water is our third class of water, also important for agricultural and landscape irrigation. 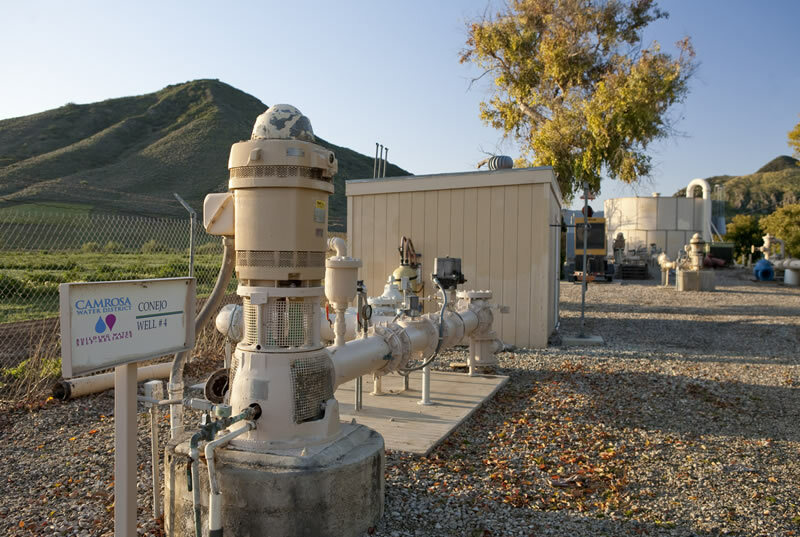 The Camrosa Water Reclamation Facility (CWRF) is our “recycling plant”, processing about 1.3 million gallons a day of wastewater collected from CSUCI and the Mission Oaks neighborhood of Camarillo. This water is treated to a very high quality, disinfected, and delivered to customers. One of our larger customers is Cal State Channel Islands, which meets one hundred percent of their outdoor irrigation needs (lawns, gardens, landscaping, ball fields, etc.) with recycled water. All told, Camrosa’s local resources have reduced our dependence on imported State Water Project water by about fifty percent over the last twenty years. This improves our reliability, increases our self-sufficiency, and allows us to keep our water rates among the lowest in the county.